“No”, it didn’t hurt when I fell from heaven! Hi everyone. 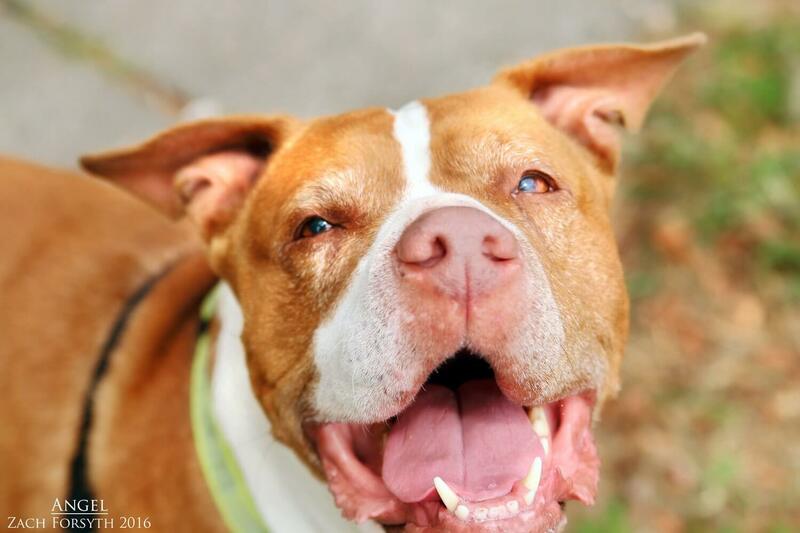 My name is Angel and I am a sweet and super adorable 11 year old, 60lb American Pit Bull! I bring light and joy into everyone’s life that I meet. In fact, my foster says I was born to be a greeter, as I am the perfect office dog who loves to be social with humans of all ages, cats, and other pups too. 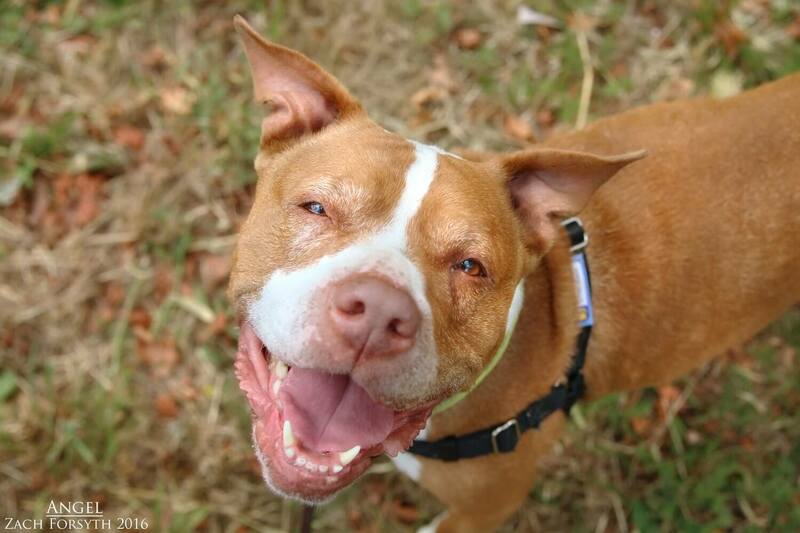 Even though I am an elderbull, I can still be active-whether its going for a nice long walk, hike in Forest Park, or playing fetch in the backyard! Due to rental breed restrictions, I need my future adopters to own their home. I am always wearing that great pit bull smile that lights up every room I walk in. Let me be your little shoulder Angel, here to uplift and always bring joy to your life. Fill out an application so we can meet-halo, wings, and all! I come to you vaccinated, spayed, and micro-chipped with an adoption fee of $200.